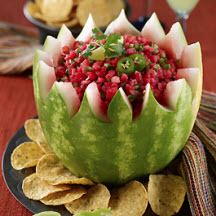 CooksRecipes has quality, kitchen-tested recipes for a variety of fruit salsas that can be served as an accompaniment, or as a refreshing dip served with tortillas chips. 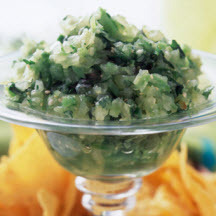 Serve this sweet and spicy salsa with grilled chicken or seafood, or serve with chips for dipping. 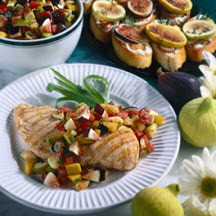 Recipe courtesy of California Fresh Figs.